Are you living with bereavement or struggling to move forwards due to a loss? If so, you are invited to join our support group open to the community who feel they could benefit from meeting others and seeking professional, friendly support. If so, you are invited to join our support group open to the community who feel they could benefit from meeting others and seeking professional, friendly support. Cindy Weller is a local resident who will run our monthly support group. She can also offer one to one counselling if required. Cindy is a qualified accredited counsellor. A member of The British Association for Counselling and Psychotherapy (BACP) and a member of the National Counselling Society (NCS). Being held on the 1st Monday (bi-monthly) of each month starting on the 1st October 2018 – 11am – 12.30pm. (Please note – groups will not run on bank holidays). 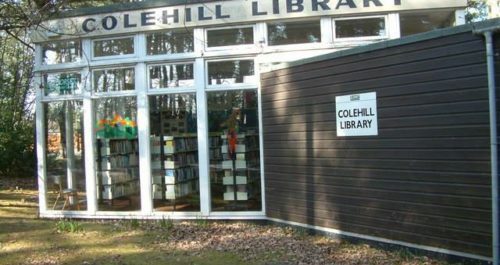 Situated in a private room at the Wareham Library. For more information or to let us know you are coming along please contact 01929 552107 (please note 10 places per session). This group has been set up by the Douch Family of which Albert Marsh are the supporting branch for Wareham. We also have other groups running in other towns. Including a Tuesday bi-monthly in Swanage starting November 2018.